Google just announced that Android Wear had come to iOS, while also introducing the Apple users of the world to this concept called choice. But along with that announcement, they mentioned that only the LG Watch Urbane, plus a bunch of soon-to-be-released watches were capable of working with iOS at this time, not any older Android Wear devices like the Moto 360. That (unsurprisingly) bummed a number of you out. To make sure that Google wasn’t fibbing on us a bit, we decided to see if we could pair a Moto 360 with an iPhone on the new Android Wear iOS app. Turns out, it worked! Look! 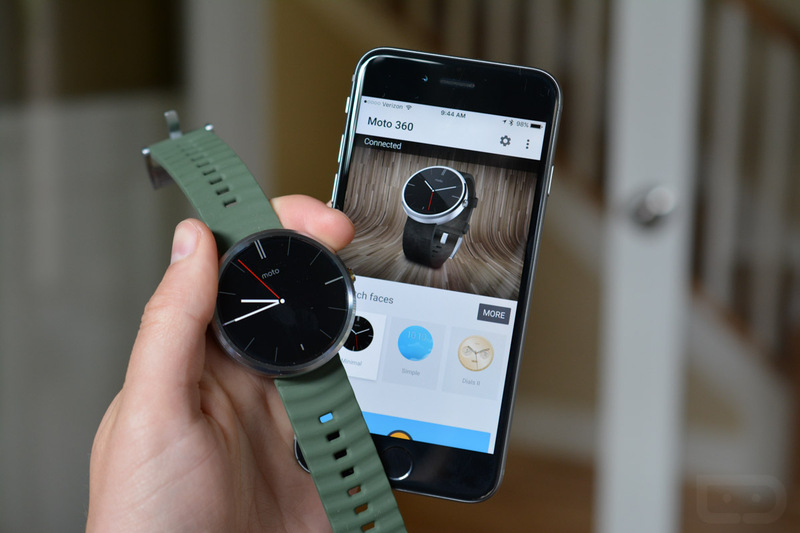 We have a Moto 360 paired with an iPhone 6. It’s receiving notifications, showing Google-related cards like weather and flight information. We got asked to allow it to show notifications and talk to our calendar and all that good stuff. So yeah, if you have an Android Wear device running the latest 1.3 update, feel free to give it a shot and try to pair it with your iPhone. Note: Before iPhone users run out and buy a Moto 360, there is one thing to consider – it won’t work out of the box and you probably can’t update it so that it will without an Android phone. The newest version of Android Wear (v1.3) is required in order for a watch to work on iOS, but none of the older watches are going to ship with it out of the box. Because of that, you probably can’t pair or do anything on iOS until you have that update. At least, that’s my theory. Proceed with caution on buying older watches unless you have an Android device you can pair to to receive the latest update first.